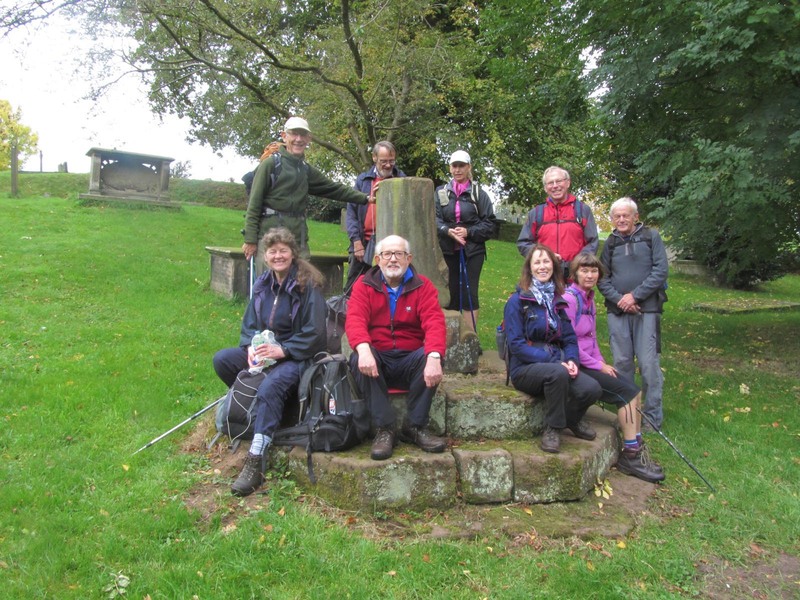 Winsford was the starting point for this recent eleven mile walk for the East Cheshire Ramblers. Heading south from the town, the group soon reached Bottom Flash, one of many lakes in the area formed by the ground subsiding due to rock salt being mined. Turning away from the lake it was only a short walk to St Chad’s Church. This fine church built of ashlar sandstone the oldest building in Winsford and dates from the 14th century. It once belonged to the adjacent parish of Over. A local legend states that the people in Over would not worship the Devil and as a result, the Devil stole the church with the aim of taking it far away, however the local monks knew that the Devil hated the ringing of the church bells and hearing these bells, the Devil dropped the church only a mile away so that today it is hidden in rural countryside just a mile from the town. 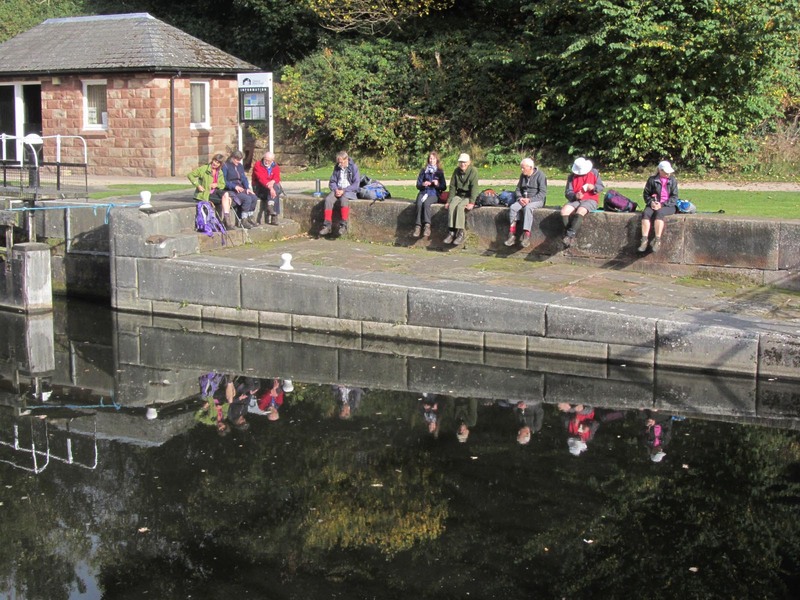 Leaving the church, the group skirted around via School Green and Hebden Green later pausing at the deep and mysterious lake known as Marton Hole. The lake came about due to the mining of salt and is believed to have appeared overnight. Following field paths the group next headed towards Vale Royal, a grand house which stands on the site of what was once the monastic site known as Vale Royal Abbey. The original abbey was founded around 1270 but was destroyed in 1538 during the Dissolution of the Monasteries. Nearby and a little further beyond the ramblers reached the secluded Vale Royal Locks which lie on the Weaver Navigation and time for an afternoon break. This canal was completed in 1732 and enabled boats of up to 40 tonnes to reach Winsford. Today, a good surfaced path follows the eastern bank of the canal back to Winsford and recently erected display boards depicts the local industrial heritage of the area synonymous with salt. On this occasion the autumn colours were approaching their best.